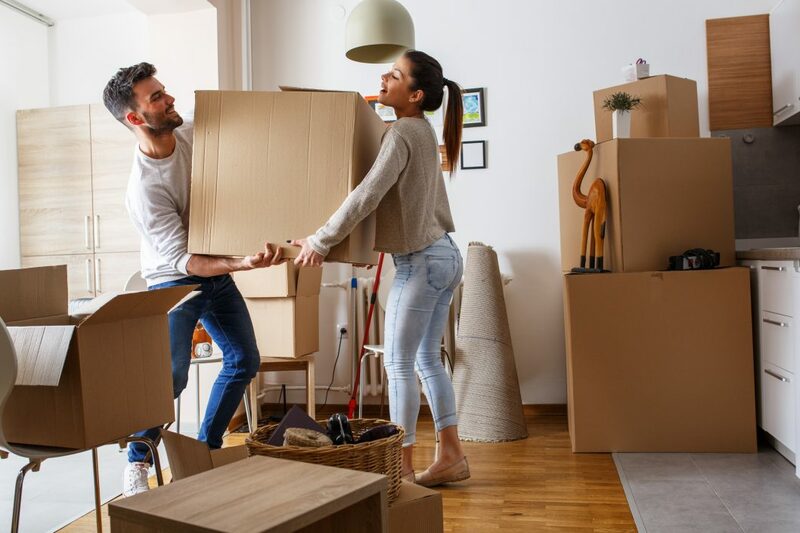 Whether you are moving locally in Winnipeg to move in with a new roommate, or moving locally in Winnipeg to move in with a significant other, there are lots of changes that happen when you move in with someone and combine two households. You may have duplicates and even triplicates of certain things (four toasters anyone?) or you may find that neither of you have what your new space needs. Sitting down before moving locally in Winnipeg to sort through your belongings prior to your move can help eliminate space issues, helping to cut down on expenses. Planning ahead of moving in together always bodes far better than trying to figure it out what to do with things when they are already in your home. Before moving locally in Winnipeg and moving in together, here are some things to consider to help make the process as seamless and easy as possible. Before moving locally in Winnipeg and moving in together, take some time to go through your home and make a list of everything that you are wanting to take with you. For rooms that only you’ll use, for example, you’re moving in with a room mate, things that go in your bedroom may not be as important. But for rooms that you’ll both use, take an inventory of what you have and what you want to bring with you. Before moving locally in Winnipeg, it’s important to know what you have. Taking inventory will also give you an opportunity to go through your rooms to see what will actually fit into the space. If you have a long dresser, or a china cabinet, make sure that it will fit into that wall cut-out before moving it! This leads us directly into our next tip. When dealing with multiples of the same item, look at what each of you have and figure out which items are newer, which ones are in better shape, and which ones holds sentimental value. Your coffee maker may be bigger, but if it’s on its last legs anyway, you may be better off keeping the one that is newer but smaller. Your partner’s coffee table may be older, but it may hold sentimental value. Before moving locally in Winnipeg and moving in together, it’s vital that you have a plan. Simply moving everything into the home and deciding what to keep and where to put things afterwards can cause massive headaches, inconveniences, and points of contention. Plan ahead of your move! If you are coming from two fully furnished households, you may have realized long ago that your personal styles are somewhat different. Maybe you love your oversized recliner, but all their living room furniture is slim and minimalistic. You have an extensive art collection, while your partner has nothing other than a Star Wars poster in the bathroom. Now is the time to sit down and discuss what should go, and what can be combined to reflect both of your personal styles. And, there is nothing wrong with deciding to sell everything you both currently own, starting over, and furnishing your new place with items that you have chosen together. Before moving locally in Winnipeg, It’s important to go through those boxes in the back of your closet and decide what you have space for, and what needs to go. Clutter is all those little things that build up over time, but aren’t really used, or have become so worn out that they no longer hold value or usefulness in your day to day life. Before moving locally in Winnipeg, see what you can sell, what you can give away, and what needs to be turfed. Not only will that make your moving and preparation easier, but there will more room when you combine your households into one. Click here for tips on how to de-clutter your home. Allow your partner to feel at home as well – compromise is important! Even if you’re in a situation where your significant other is moving locally in Winnipeg into your current place of residence, or if you have opened your home to a room mate, compromise is extremely important! It can be very difficult to fully feel at home when everything that you use daily or when the furniture that makes up your home isn’t yours. When moving locally in Winnipeg it is important to compromise and be open to new ideas from the other party moving in. Once again, while it may be your home, it is important that your partner feel just as ‘at home’ as you do. Keeping the lines of communication open is a frequently used piece of advice, but stands true especially in this instance. Depending on what kind of home you are moving into, or how big the space is, it may be worth while to rent a small storage space for items such as Christmas decorations, camping supplies, and other seasonal items. If there are things that you know that you’ll need down the road, for example, like a dresser that doesn’t fit into your current room, but you know that when you buy a bigger home down the road you’ll need, it can be a great option. When moving locally in Winnipeg in order to move in together storage can be a great way to help you compromise, especially if things don’t fit now, but down the road they can. While moving in together can be an exciting opportunity, it isn’t always as cut and dry as simply moving your things in. Make sure that when you’re moving locally in Winnipeg in order to move in together, you plan things out, and compromise. Remember that both people deserve to feel at home. Whether you’re looking for help with moving locally in Winnipeg, or needing storage space, make sure to give Quick Transfer a call. With a number of different storage options available to serve you, make sure to give us a call to see what we can do for you. Whether you have lots to be stored, or only a couple of things, Quick Transfer offers a wide variety of storage options to ensure that your goods are not only handled with the utmost of care, but that you’re getting the best bang for your buck. Make sure to give Quick Transfer a call!